I do love my condiments and won’t budge on making my own. Even the ‘cleanest’ of store bought varieties tend to use refined oils and contain preservatives. So, hop to it and make your own. I love this dip on the Life Changing Loaf of Bread, some sourdough (Iggy’s preferably!) or as a side to eggs, meat or fish. 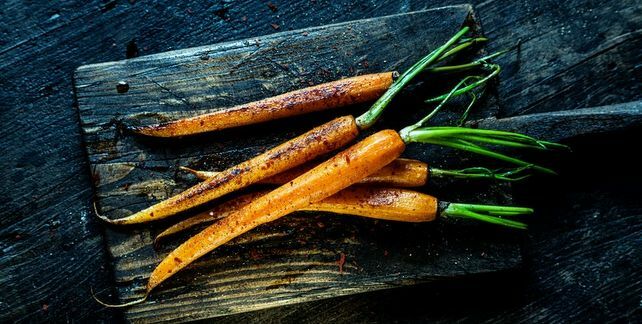 Combine the carrots, olive oil, garlic and cumin in a baking dish. Add a couple of pinches of salt and cracked black pepper to taste. Use your hands to evenly coat the carrots. Bake for 40 minutes. Add the water, cover with foil and bake for a further 30 minutes. Remove from oven and allow to cool slightly. Transfer carrots with cooking liquid into a blender. Add in the tahini, apple cider vinegar and a couple more pinches of salt flakes and process until very smooth.Taste and add drop more salt or vinegar if needed. If you have a high speed blender, time to whip it out use it as it will yield a very smooth dip! Transfer to a glass jar and store in the fridge for up to 5 days.